To date, Weruva has not been involved in any pet food recalls. Although Weruva has never been recalled, we recommend enrolling into our recall alert program to ensure that you are quickly notified if such an event occurs. The Weruva company was founded in 2008 by David and Stacie Forman. The couple decided to enter the pet food industry after an unsuccessful search for high quality cat food. In addition to cat food, the brand also offers dog food, treats, and litter products. Food is focused for carnivores and "obligate carnivores." Food includes protein which is fit for human consumption. Food is processed in a human food facility. Food is not blended (i.e. no mystery mush). In several areas of the Weruva website, the brand uses the terms "human consumption" or "fit for humans" or "human food facilities." We'd like to clarify that the FDA nor the Association of American Feed Control Officials (AAFCO) have officially defined what constitutes "human grade" pet food. Weruva addressed these issues with the following statement taken directly from their website. Not only do we use ingredients that truly go into products for people, we also make our pet food in a human food facility according to international human food standards. As it is not defined, we avoid the term “human grade” and instead provide the details and facts about our ingredients and processes and let our customers make the decision. In general, claims of human grade ingredients, food, or facilities are loosely defined. Therefore, we recommend that consumers do not place too much weight on these type of claims. Weruva products are sold in the United States, Canada, Austrailia, Kuwait, and South Africa. Is Weruva Pet Food Safe? It is difficult to answer this question without inside knowledge of the manufacturing processes and ingredient sources used by the Weruva pet food brand. However, there are bits of information provided by Weruva that address food safety and quality concerns. According to the company's website, Weruva makes most of its products in Thailand. The brand assures consumers that the facilities which produce their products are committed to producing safe and high-quality foods. Weruva claims that they cannot achieve the same type of quality at any other facility. In part, they say "As you can see with our products, they are quite different than most pet food brands. We reach these results though our manufacturing partner’s unparalleled capabilities, something we truly cannot find anywhere else, regardless of country of manufacture." The brand chose to use the manufacturing facilities in Thailand because they had an existing relationship. Here is their rational, "In choosing Thailand as a place of manufacture, we had an existing relationship making human food with our manufacturing partner for decades." The facilities which produce Weruva cat food and Weruva dog food have earned an "A" designation from the British Retail Consortium (BRC) standard for human consumption. The brand claims that this distinction also applies to the pet food side of the factory's operations. 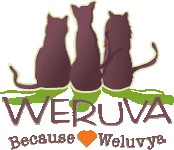 With the information provided, we believe Weruva is a high-quality pet food brand. They provide lots of helpful information regarding the quality of their ingredients and their manufacturing process. It appears that the company does place a high value on the safety of their products, which is ultimately the most important quality to judge. Given that Weruva has never been recalled, we have no reason to question the safety or quality of Weruva dog and cat food products.